Alexis L. Boylan, Associate Professor, (Art & Art History and Women’s, Gender, & Sexuality Studies). Professor Boylan’s research focus is on American art from the colonial to the contemporary periods, with particular emphasis on race and gender. She is succeeding Brendan Kane, Associate Professor (History) who is completing his term as Associate Director. This April, 2015-16 UCHI Dissertation Fellow, Allison Horrocks successfully defended her doctoral thesis. 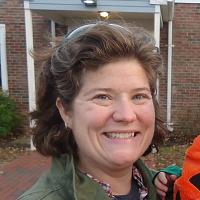 She has accepted a position with the National Park Service and the recently established Blackstone River Valley National Historic Park, to begin after she completes her doctorate this May. Encompassing several sites from Worcester, MA, to Providence, RI, the heritage corridor is dedicated to histories of the Industrial Revolution and textiles in the U.S. (http://www.nps.gov/blac/index.htm). Allison will be working with local non-profits and other stakeholders to develop the new park’s engagement plan and public programs. The Office of the Vice President for Research (OVPR) would like to announce the National Endowment for the Humanities (NEH)Summer Stipend Program. The Summer Stipend Program will only accept two nominations per institution (NEH recognizes UConn Storrs and UConn Health Center as separate institutions), and as such the OVPR will be conducting an internal screening process. 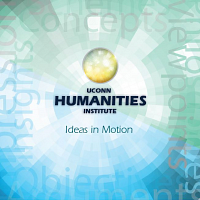 Recipients usually produce scholarly articles, monographs, books, digital materials, archaeological site reports, translations, editions, or other scholarly resources while receiving the NEH summer stipend. Successful applicants will be awarded a stipend of $6,000. · Individuals pursuing advanced research that is of value to humanities scholars, general audiences, or both. · Continuous full-time work on humanities projects for a period of two consecutive months. · Projects at any stage of development. · Projects beginning May 2017. Because only two nominations can be submitted for this program, an internal screening process is required. If you are considering submitting an application for this program, an on-line Notification of Intent to Submit must be completed by the requested Intent to Submit Deadline. When submitting pre-proposals for the internal screening process, please review the Guidelines for updates. Pre-proposals not adhering to these guidelines and instructions will be returned.